I have been reading the first 31 versus of the Bible these past few days. Time seems rushed. I can not wait to find a new truth in the words that tell of the Universe’s creation. I rush to find references. I feel agitated when resting my eyes from the rigors of going back and forth on the page to gather the information and process it into a thought. I want for a better understanding of the context. I visualize the God, I know and have come to love with a child’s heart, looking over His work and nodding His head in approval for each search day. I wonder what next (thing) I will say to “my neighbor” that will start a one hour flurry in this upcoming and loaded two-sided discussion. I love the thought that God made everything perfect and it took just a second (decision) to make a mess of the whole thing. But most all…I wonder what tomorrow will bring. I lost my keys the other day only to find them right where they lay. But what if? The search time had passed so far into future those keys would have melted into the surrounding rocks and soil. It is just a matter of time. Time works that way. 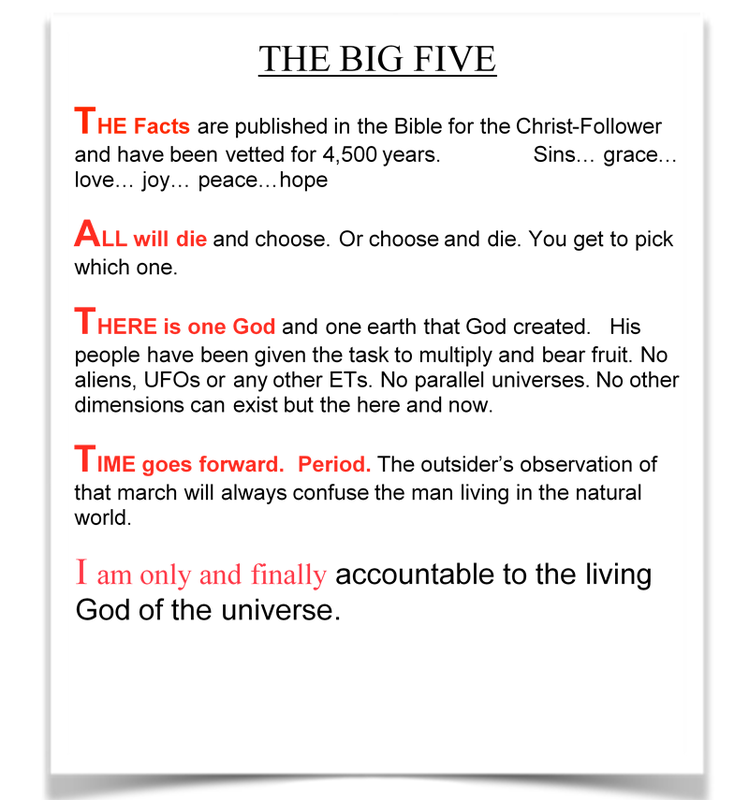 Take the created universe for example. We all talk so smart when referring to the time we know and can discuss. What about the time that no on the planet has wrote about (using science) and, best of all, no was there looking for the keys? That is what reading the first 31 verses of the Bible really feels like. It is a thinking about the sequence of time that messes the entire story up in our head. Not the space (stuff) that was created. We see that created result all around every day. We breathe the air so perfectly matched to our body that stuff grows despite our great thinking thoughts. Those keys are right were they lay. But how they got there? Now that is a problem. I didn’t really loose my keys. I really lost my town’s US Post Office. There was a fire. The rumor is some kids broke into the building and foolishly played with matches. I hope someone disciplined the brats. That Post Office is a building that tells the story in 31 versus of our little village in the northwoods of Wisconsin. And now? Time will pass and the building will end up in the rocks and the soil of a landfill and …some great plan for the future of mail delivery of the snails. Maybe being so fast is not so great after all? Maybe some destruction is better for the future? Maybe we should think a collective thought of caring for the stuff of others over our stuff? Maybe, just maybe, there is life after death? Maybe in 31 verses time passed and the universe was created?